Makenzie thrives on the thrill of physical activity and self-motivation. Once her sports career ended in college, she longed to find the same sense of competition that her team used to provide. 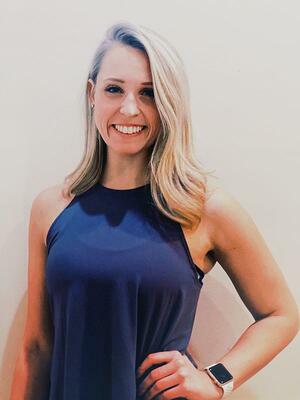 In 2016, she began her love affair with Les Mills, and in 2018 she found her instructor stride in BODYPUMP and Spin/Studio Cycle. Complimenting her passion for group fitness, Makenzie has also found joy and discipline in completing triathlons, half marathons, and a full marathon. When Makenzie is not at the CAC, she can be found at her radio broadcast desk job in the loop, painting in her apartment, or exploring the city with friends and family!